THIS USED 5TH WHEEL CONTAINS 1 SLIDE, QUEEN SIZE BED, ELECTRIC/PROPANE FRIDGE, AWNING, LOTS OF WINDOWS, SLEEPS 4, FULL PROPANE, BATTERY, VENT COVERS, COME ON IN AND TAKE A LOOK. GREAT DEAL ON THIS USED 2007 JAYCO JAYFLIGHT 245RS 5TH WHEEL, THIS UNIT HAS 1 SLIDE A PROPANE/ELECTRIC FRIDGE VERY LIGHT WITH AN ALUMINUM FRAME, SLEEPS 5, AWNING, QUEEN BED, TV AND FULL PDI INCL. VERY CLEAN, A MUST SEE. TIS THE SEASON, THIS TRAVEL TRAILER A 2011 HEARTLAND TRAILRUNNER 26FQB HAS MANY FEATURES. STOVE/OVEN, MICROWAVE, QUEEN BED, SINGLE OVER DOUBLE BUNK BEDS, SLEEPS 8, PROPANE/ELCTRIC FRIDGE, AWNING, 1/2 TON TOWABLE, A MUST SEE. A MUST SEE, THIS 5TH WHEEL HAS 2 SLIDES, QUEEN BED IN REAR AND FRONT LOFT, SLEEPS UP TO 10, U SHAPE DINETTE, ELECTRIC/PROPANE FRIDGE, AWNING, AND FULL PDI, GIVE US A CALL. THIS USED 5TH WHEEL CONTAINS 2 SLIDES, AN AWNING, SINGLE OVER SINGLE BUNKS, SLEEPS 7, PROPANE/ELECTRIC FRIDGE, LOTS OF STORAGE, ITS A MUST SEE. BEAUTIFUL DESIGNED TRAVEL TRAILER IS A SHOW STOPPER. THIS USED 2016 DUTCHMAN KODIAK 303BHSL HAS 3 SLIDES, POWER AWNING, LOTS OF STORAGE, LARGE OUTSIDE KITCHEN, LITE COLOR FURINITURE, CENTER ISLAND, WALK THROUGH BATHROOM, LARGE PANTRY, SEPERATE ROOM WITH 2 BUNKS, COUCH AND PLENTY OF STORAGE, 1 IN STOCK, COME ON IN AND TAKE A LOOK. USED 2006 MONACO DYNASTY 40 FOOT DIESEL CLASS A MOTORHOME 156687KM, SALE PRICED AT $109998.00, PLUS ADMIN $499.00. LICENSE FEES $100.00, OMVIC FEE $10.00, PLUS APPLICABLE TAXES. 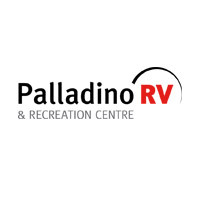 Pre-owned RV pricing includes all offers and incentives. Tax, Title and Tags not included in RV prices shown and must be paid by the purchaser. While great effort is made to ensure the accuracy of the information on this site, errors do occur so please verify information with a customer service rep. This is easily done by calling us at (705) 524-1912 or by visiting us at the dealership. **With approved credit. Terms may vary. Monthly payments are only estimates derived from the RV price with a 72 month term, 5.9% interest and 20% downpayment.